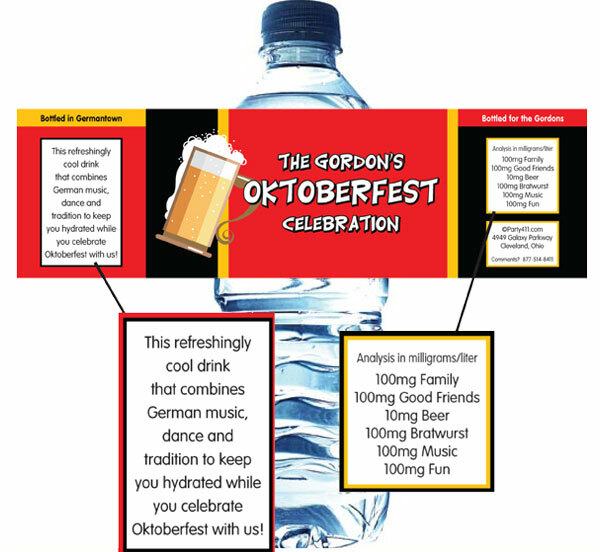 Party411.com offers personalized Oktoberfest theme water bottle labels. 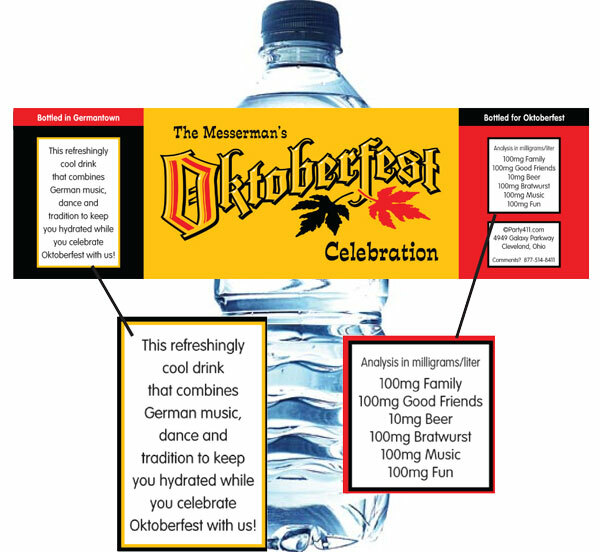 Add a much needed Oktoberfest water bottle label to your celebration this year. 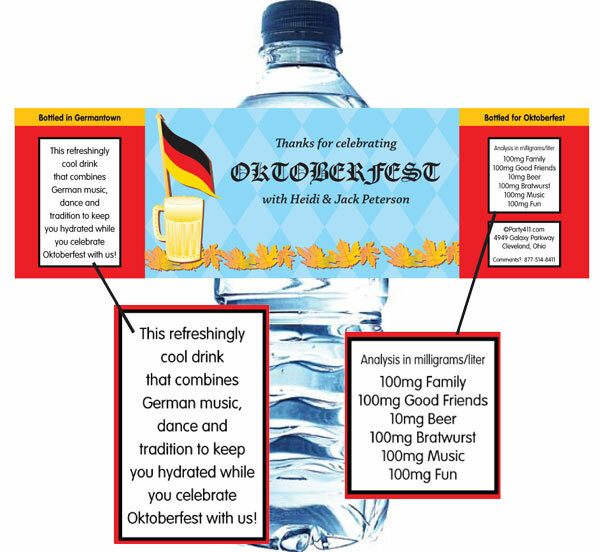 A personalized Oktoberfest water bottle label is a nice addition to your party. 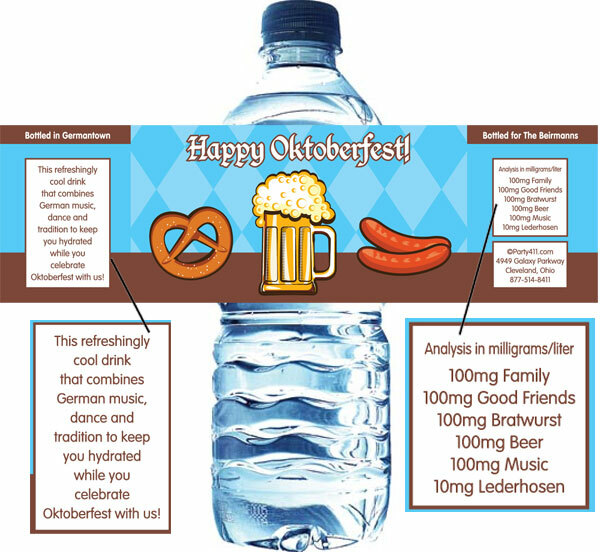 Give your guests a break with personalized water bottle labels. 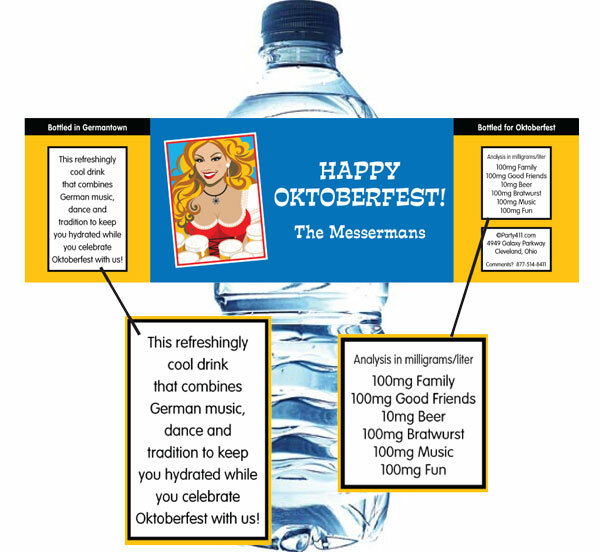 A fun custom Oktoberfest water bottle label is a nice addition to your party. 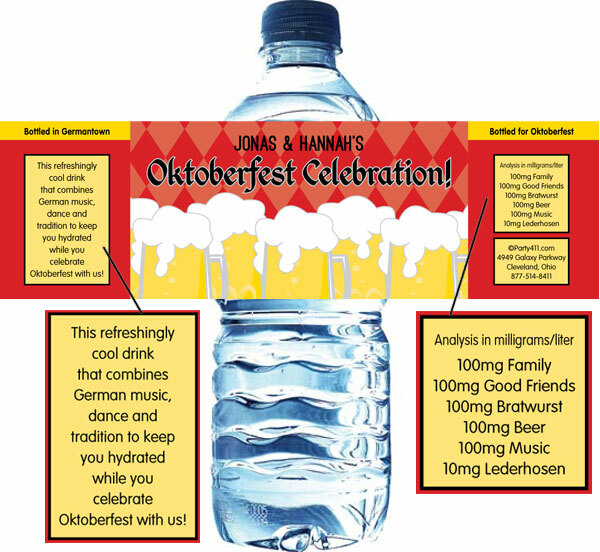 Give your guests personalized Oktoberfest water bottle labels.